Our Daughter’s Prayer, Part 2 | Lift Jesus' Cross! Posted on February 3, 2015	by Lift the Cross of Jesus! 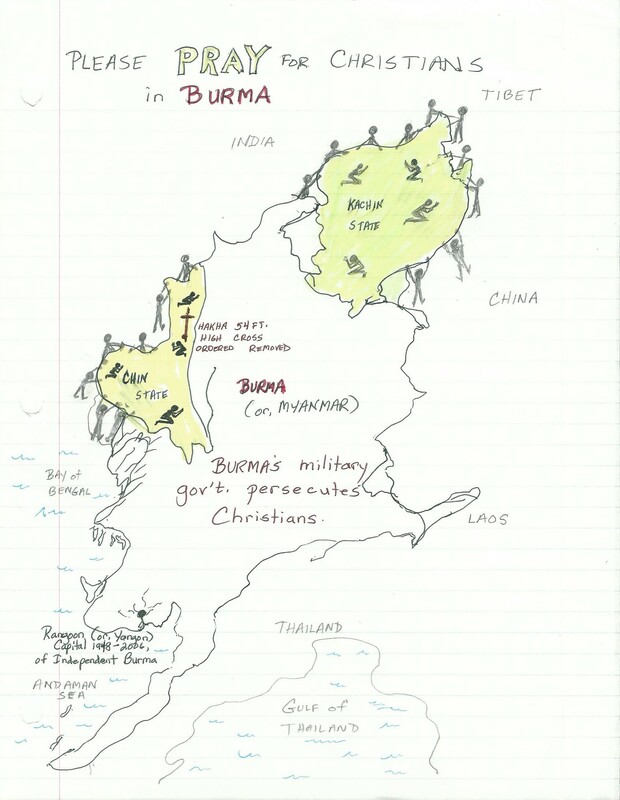 Yesterday, I shared in this blog that my daughter Doi is requesting prayer for the persecuted Christians in Burma (renamed Myanmar by the Burmese military government). People in America don’t understand. Many WANT to understand. Show it. People in America may feel slimed, not inspired to pray. Don’t show it. 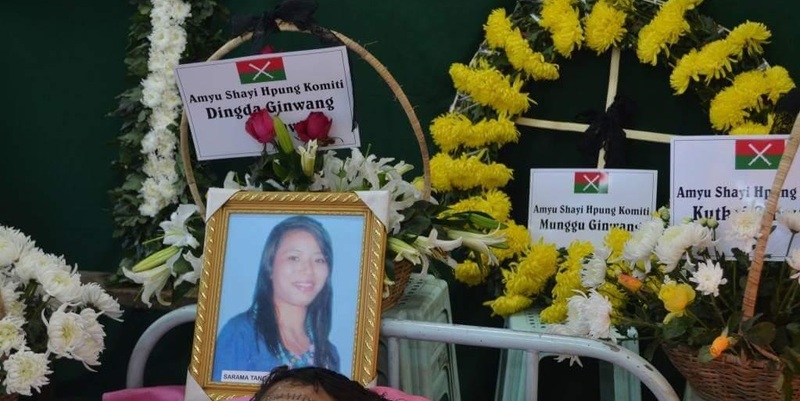 So, I brought in the Peacemaker, and decided to show you the photographs that are sitting above the caskets, photos of beautiful young women of God who gave their lives to teach in a remote Christian school in Burma. I did get just the foreheads in there. Sorry! I hope that doesn’t offend anyone. Each picture is a tiny peek at the brutality of satan’s diabolical hatred of Christians. Doi’s message to me was underneath the photos (in her text) and I created a map (below) to help people visualize how to pray. Bear in mind, this is my daughter’s report and not Hope’s journalistic, fact-checking style. Please read below the photos now. “Our country has a big problem. The Burmese Military Army killed these two Christian volunteer teachers. They were raped and killed like animals. The Burmese military killed many of our innocent people. I cried and cried. “The two teachers were in “Konghka” Village, about eight months ago this happened. In that night, they had the pastor’s daughter’s birthday party. They walked ten minutes away from the pastor’s house. They came home around 10:30 PM. It’s a very small town. Somebody later said that they heard somebody screaming, but they thought it was a husband and wife arguing. The next day, the students were waiting in the classroom ready for study, but the two teachers never showed up. They sent for the teachers, thinking they were still sleeping or forgot about class or something. The student called his teacher’s name but no one answered. He returned back with another woman, who lifted the blanket. That woman got a shock because blood was everywhere and the women were naked. The murderer raped them and hit the teachers’ heads with an axe. The UNFC and President Obama and many other countries pushed Burma’s president to investigate the murders. But the Burmese military never cares about our peoples. They hate Christians–they’ve become like Hitler. Stay tuned Thursday for another report from Doi. This entry was posted in The Cross of the Martyrs and tagged Burma, Burmese martyrs, Burmese military, Chin, Christian persecution in Burma, Doi, Kachin, Karen, lift Jesus cross, martyr, martyrs for Christ, Myanmar, Pray for Burma, pray for Myanmar. Bookmark the permalink. Thank you so much for sending this. I have been thinking of Doi and Hnem so much recently, and miss them. I am currently studying abroad in Kunming, Yunnan, China and my classes are focused on Chinese Society, Environmental Trans-boundary Resource Dilemmas in the Greater Mekong Subregion, and Southeast Asia, in addition to my Chinese language class. I have been enjoying exploring the area, understanding the culture, and learning about Southeast Asia (a region that is poorly underserved by general school world history classes). I am living with a host family right now. They are very kind and I have been enjoying their company as I get to know them. Last week, we went to a park in the evening to see a lot of lanterns, and this evening we danced in one of the city squares. What time are you praying Saturday? I am thirteen hours ahead of EST, so I want to make sure I get it right. How are they both doing? Do you have up-to-date contact information for them? I’d like to send some postcards out to people soon. I also would be interested in calling/emailing them if possible. Also…how are you doing? It has been a while since we last conversed. What have you been researching and writing about lately? Is North Korea still your main focus of the moment? Oh, Julia! YOU are FULL of information! Who would have thought that you’d be studying in China right now? Praise God! Did you just go there in January? Doi gave me her permission to tell her story. Do you remember the article about the cross that I linked to? That ANS News Service is picking up the blog from yesterday and sending it off around the world. God is good! So we will have 1000’s of readers and hopefully a precious few who will be nudged by Holy Spirit to pray on Saturday. I think you’re one of them! Doi didn’t give me a specific time, just anytime on Saturday. So if you pray at 6PM Friday night (the time of our live blogtalk radio show!) then you will be praying around 7AM EST Saturday morning. Of course, Doi is on Pacific Coast time now, so that would be . . . 9 hours difference from you. Maybe let the Holy Spirit inspire you? Haha! Hey everyone–Julia is a high school friend to Doi and Li. 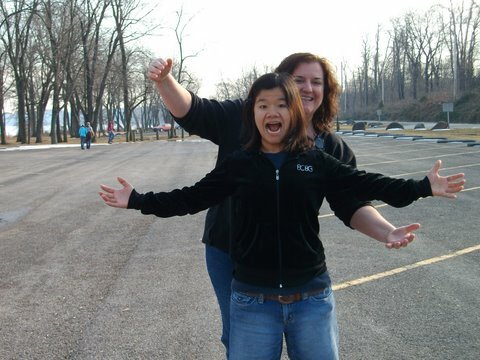 Julia LOVES China and Asia and God used her mightily as a friend to our Burmese daughters. Thanks for chiming in this morning, Julia! My heart aches at the evil…and hope reaches forward to what God will do with this tragedy. He will not let their deaths be in vain. I’ve printed the map and will put on the fridge…nudging me to pray both Saturday and other times. It was for these horrific things Christ came…and calls us to love and reach out to others. Thank you both for being a voice for Him! Wow, thank you Billie Jo for that commitment to pray. I am trusting our wonderful friend, Holy Spirit, to lead all warriors to the map! “To the map, soldiers, to the map! LIFT!” Doi will be passing this map around to a large group of Burmese meeting here in America on Saturday to pray for their nation. It’s so humbling to draw these goofy little pictures and scan them and post them. God seems to really capitalize on “childlikeness” with me.